VANCOUVER, March 19, 2018 /CNW/ - Alio Gold Inc (TSX, NYSE AMERICAN: ALO) ("Alio Gold" or the "Company") and Rye Patch Gold Corp. (TSX.V: RPM; OTCQX: RPMGF; FWB:5TN) ("Rye Patch") are pleased to announce they have entered into an agreement whereby Alio Gold will acquire, through a plan of arrangement (the "Arrangement") all of the outstanding shares of Rye Patch. Alio Gold will host a conference call at 11:00am EDT (Toronto) time today to discuss the transaction and the details of the call can be found at the end of the release. Management from both Alio Gold and Rye Patch will participate in the conference call. Under the Arrangement, each common share of Rye Patch will be exchanged for 0.48 common shares of Alio Gold. The offer implies a value of C$1.57 per Rye Patch share, a 35% premium to Rye Patch shareholders, based on the 20-day volume weighted average trading price of Alio Gold shares on the TSX and Rye Patch shares on the TSX.V for the period ending March 16, 2018. The offer values Rye Patch's outstanding equity (undiluted) at approximately C$128 million. The number of Alio Gold shares to be issued will be approximately 39.0 million based on the issued and outstanding shares as of the announcement date, subject to adjustment for options, warrants and restricted stock units vested prior to the Arrangement. The transaction is expected to close on or about May 25, 2018. Existing Alio Gold and Rye Patch shareholders will own approximately 53% and 47% of the combined company, respectively, following the close of the transaction. "This transaction is consistent with our strategy to create a leading mid-tier precious metals company" said Greg McCunn, CEO of Alio Gold. "In addition to diversifying our asset base into one of the most attractive precious metal producing regions in the world, this transaction provides us with increased scale and liquidity to drive long term shareholder value. We see regional growth opportunities in Nevada and coupled with our high-grade, high-margin Ana Paula project, this transaction establishes a strong platform for future growth." In conjunction with the proposed transaction, Macquarie Bank Limited ("MBL") has agreed not to exercise its right to require immediate repayment of the existing Florida Canyon project loan as a result of this change of control, subject to certain conditions. At the closing of the transaction, the outstanding principal owing on the MBL project loan is expected to be $15 million. MBL and the Company have commenced discussions regarding a restructuring of the loan at or after closing of the transaction and MBL has provided indicative terms for such a restructuring which remain subject to credit approval. The indicative terms for the restructuring envision the principal remaining at the closing of the transaction will be repaid over 12 equal quarterly payments along with accrued interest. Project loan type covenants including forward-looking financial ratios, cash sweep for early repayment of the loan and debt service and capital reserve account requirements would be replaced with a corporate guarantee and security from Alio Gold and certain of its affiliates. The Company intends to continue to work with MBL to seek final credit approval ahead of the close of the transaction. "When I founded Rye Patch twelve years ago, I envisioned creating a mid-tier, North American gold producer," stated William C. Howald, Rye Patch's President and CEO. "This business combination with Alio Gold achieves that goal and creates a company with gold mining operations located in two stellar mining jurisdictions, Mexico and Nevada, with tremendous exploration upside. The Alio Gold management team has a positive track record in Mexico and combined with Rye Patch will expect to repeat that success in Nevada." Alio Gold will continue to be managed by the executive team in Vancouver, Canada led by Greg McCunn as Chief Executive Officer and Colette Rustad as Chief Financial Officer. 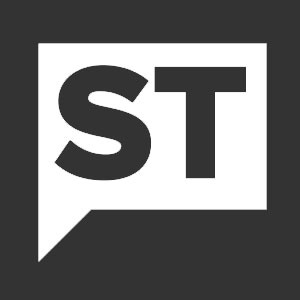 In addition, the Company will seek to retain Doug Jones from Rye Patch as its Chief Operating Officer. Alio Gold's Board of Directors will continue to be led by Chairman, Bryan Coates and Alio Gold have invited two directors from Rye Patch, Tim Baker and John Mansanti, to join the combined board. Committees are expected to be reconstituted at the first board of directors' meeting following the close of the transaction. The Arrangement has been unanimously approved by the board of directors and the special committee of Rye Patch and will be subject, among other things, to the favourable vote of 66 2/3% of the Rye Patch common shares voted at a special meeting of shareholders called to approve the transaction. Officers and directors of Rye Patch as well as other shareholders including Primevest Capital Corp have entered into lock-up and support arrangements with Alio Gold under which they have agreed to vote in favour of the transaction. Capital West Partners has provided an opinion to the Rye Patch Board of Directors that the consideration offered is fair, from a financial point of view, to Rye Patch shareholders. 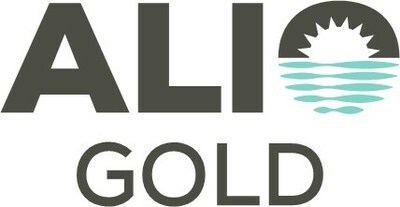 The Arrangement has been unanimously approved by the board of directors of Alio Gold and will be subject, among other things, to the favourable vote of a majority of the Alio Gold shareholders at its annual and special meeting. RBC Capital Markets has provided an opinion to the Alio Gold Board of Directors that the consideration offered is fair, from a financial point of view, to Alio Gold. In the event that the transaction is not completed, a termination fee of C$4.0 million is payable to either Alio Gold or Rye Patch, respectively, upon termination of this transaction by the terminating party on terms customary for a transaction of this nature. Rye Patch has also provided Alio Gold with certain other customary rights, including a right to match competing offers. Full details of the Arrangement will be included in the management information circulars of Alio Gold and Rye Patch and both circulars are expected to be mailed to their respective shareholders on or about April 17, 2018. It is anticipated that both shareholder meetings and closing of the transaction will take place on or about May 25, 2018. Alio Gold's financial advisor is RBC Capital Markets, its legal advisors are Blake, Cassels & Graydon LLP in Canada and Paul, Weiss, Rifkind, Wharton & Garrison LLP in the United States. PI Financial Corp. has been engaged as a Strategic Advisor for Alio Gold as part of the transaction. Rye Patch's financial advisor is Capital West Partners, its legal advisors are Koffman Kalef LLP in Canada and Dorsey & Whitney LLP in the United States. Shareholders and other interested parties are advised to read the materials relating to the transaction that will be filed with securities regulatory authorities in Canada and with the United States Securities and Exchange Commission when they become available because they will contain important information. Anyone may obtain copies of these documents when available free of charge at the Canadian Securities Administrators' website at www.sedar.com and from the United States Securities and Exchange Commission at its website at www.sec.gov. This announcement is for informational purposes only and does not constitute an offer to purchase, a solicitation of an offer to sell the Shares or a solicitation of a proxy. Alio Gold would also like to notify shareholders in accordance with the requirements of the NYSE American, that the Company's audited financial statements for the years ended December 31, 2017 and 2016 are available on the Company's website at www.aliogold.com. Shareholders may also request a hard copy of the complete audited financial statements free of charge at info@aliogold.com. The Company's annual report on Form 40-F has been filed with the Securities and Exchange Commission and is available at www.sec.gov and also at www.aliogold.com. Alio Gold is a growth oriented gold mining company, focused on exploration, development and production in Mexico. Its principal assets include its 100%-owned and operating San Francisco Mine in Sonora, Mexico and its 100%-owned development stage Ana Paula Project in Guerrero, Mexico. Located within the highly prospective Guerrero Gold Belt on 56,000 hectares of underexplored land, the Ana Paula Project is a high-grade, high margin project currently in the definitive feasibility stage. An underground decline to provide access for an exploration drill program has been initiated. The drill program will target the continuation of the high-grade gold mineralization below the proposed pit which has the potential to significantly enhance the robust economics of the project. The Company also has a portfolio of other exploration properties, all of which are located in Mexico. Rye Patch's assets are all located in Nevada, USA and include its 100%-owned Florida Canyon Mine. The mine is a past producing, open pit, heap leach operation that was recently restarted and achieved commercial production in December 2017. Rye Patch also controls a sizeable 18,000 hectare land package along the Oreana Trend in Nevada with a 100% interest in Lincoln Hill, a PEA stage, open pit gold-silver project and a 100% interest in Wilco, a gold silver project with an NI 43-101 resource. Rye Patch also holds the Gold Ridge and Garden Gate Pass exploration properties. Production estimate for the Ana Paula project from the technical report entitled "NI 43-101 Preliminary Feasibility Study, Guerrero, Mexico", dated May 16, 2017 which is available on Alio Gold's SEDAR profile at www.sedar.com. This news release includes certain "Forward-Looking Statements" within the meaning of the United States Private Securities Litigation Reform Act of 1995 and "forward-looking information" under applicable Canadian securities laws. These forward-looking statements or information relate to, among other things: anticipated benefits of the Arrangement to Alio Gold, Rye Patch and their respective shareholders; the timing and receipt of required shareholder, court, stock exchange, creditor and regulatory approvals for the Arrangement; the ability of Alio Gold and Rye Patch to satisfy the other conditions to, and to complete, the Arrangement; the anticipated timing of the mailing of the information circulars regarding the Arrangement, the closing of the Arrangement; future growth potential for Alio Gold, Rye Patch and their respective businesses; future mine development plans at the Ana Paula Project; estimates regarding production at the San Francisco and Florida Canyon Mines; and estimates of production costs and the possible revaluation potential. In respect of the forward-looking statements and information concerning the anticipated completion of the proposed Arrangement and the anticipated timing for completion of the Arrangement, the parties have provided them in reliance on certain assumptions that they believe are reasonable at this time, including assumptions as to the time required to prepare and mail shareholder meeting materials, including the required joint management information circular; the ability of the parties to receive, in a timely manner, the necessary shareholder, court, stock exchange, creditor and regulatory approvals; and the ability of the parties to satisfy, in a timely manner, the other conditions to the closing of the Arrangement. These dates may change for a number of reasons, including unforeseen delays in preparing meeting material; inability to secure necessary shareholder, court, stock exchange, creditor and regulatory approvals in the time assumed or the need for additional time to satisfy the other conditions to the completion of the Arrangement. Accordingly, readers should not place undue reliance on the forward-looking statements and information contained in this news release concerning these times. Forward-looking information relating to future production, analyst coverage, liquidity, cash flow and potential revaluation of Alio Gold shares, future growth potential for Alio Gold, Rye Patch and their respective businesses, future mine development plans, estimates regarding the recovery of minerals, and estimates of production costs is based on management of the applicable parties' reasonable assumptions, estimates, expectations, analyses and opinions, which are based on such management's experience and perception of trends, current conditions and expected developments, and other factors that management believes are relevant and reasonable in the circumstances, but which may prove to be incorrect. Assumptions have been made regarding, among other things, the price of silver, gold, and other metals; costs of development and production; estimated production rates for gold and other metals produced by the parties; the estimated costs of development of development projects; Alio Gold and/or Rye Patch's ability to operate in a safe and effective manner and their ability to obtain financing on reasonable terms. These statements reflect the parties' respective current views with respect to future events and are necessarily based upon a number of assumptions and estimates that, while considered reasonable by the respective parties, are inherently subject to significant business, economic, competitive, political and social uncertainties and contingencies. Many factors, both known and unknown, could cause actual results, performance or achievements to be materially different from the results, performance or achievements that are or may be expressed or implied by such forward-looking statements or information and the parties have made assumptions and estimates based on or related to many of these factors. Such factors include, without limitation: satisfaction or waiver of all applicable conditions to closing of the Arrangement including, without limitation, receipt of all necessary shareholder, court, stock exchange, creditor and regulatory approvals or consents and lack of material changes with respect to Alio Gold and Rye Patch and their respective businesses, all as more particularly set forth in the Arrangement Agreement; the synergies expected from the Arrangement not being realized; business integration risks; fluctuations in general macro-economic conditions; fluctuations in securities markets and the market price of Alio Gold's shares; fluctuations in the spot and forward price of gold and other metals or certain other commodities (such as natural gas, fuel oil and electricity); fluctuations in the currency markets (such as the Canadian dollar, Mexican peso and the U.S. dollar); changes in national and local government, legislation, taxation, controls, regulations and political or economic developments in Canada, the United States or Mexico; operating or technical difficulties in connection with mining or development activities; risks and hazards associated with the business of mineral exploration, development and mining (including environmental hazards, industrial accidents, unusual or unexpected formations, pressures, cave-ins and flooding); risks relating to the credit worthiness or financial condition of suppliers, refiners and other parties with whom the parties do business; inability to obtain adequate insurance to cover risks and hazards; and the presence of laws and regulations that may impose restrictions on mining, including those currently enacted in the United States and Mexico; employee relations; relationships with and claims by local communities and indigenous populations; availability and increasing costs associated with mining inputs and labour; the speculative nature of mineral exploration and development, including the risks of obtaining necessary licenses, permits and approvals from government authorities; diminishing quantities or grades of mineral reserves as properties are mined; title to properties; and the factors identified under the caption "Risk Factors" in Alio Gold's Annual Information Form, and under the caption "Risk Factors" in Rye Patch's Annual Information Form. In addition, the failure of a party to comply with the terms of the Arrangement Agreement may result in that party being required to pay a termination fee to the other party, the result of which could have a material adverse effect on the paying party's financial position and results of operations and its ability to fund growth prospects and current operations. Readers are cautioned against attributing undue certainty to forward-looking statements or information. Although the parties have attempted to identify important factors that could cause actual results to differ materially, there may be other factors that cause results not to be anticipated, estimated or intended. The parties do not intend, and do not assume any obligation, to update these forward-looking statements or information to reflect changes in assumptions or changes in circumstances or any other events affecting such statements or information, other than as required by applicable law. Neither the TSX, TSX Venture Exchange nor its Regulation Services Provider (as that term is defined in the policies of the TSX, TSX Venture Exchange) nor the New York Stock Exchange American accepts responsibility for the adequacy or accuracy of this news release.